Casey Black is the Nashville-born, Columbia-University-educated, gravel-voiced, literary singer-songwriting son of Charlie Black, NSAI Hall of Fame songwriter of more than a dozen #1 country hits. 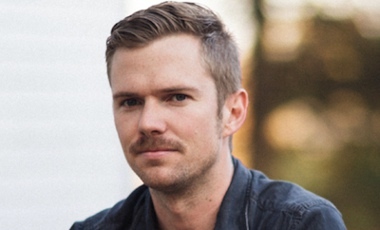 Casey wrote his first song at twelve years old, released his first “record” three years later (a cassette of songs he recorded in his basement on his father’s hand-me-down equipment), and signed with EMI Music Publishing Nashville at nineteen, making him one of the youngest staff songwriters on Music Row. There he wrote with some of the Row’s greatest writers, including his father, and according to Casey, got “all the cocky, prima-donna, young-artist stuff beaten out of me by people who actually knew how to write songs.” While his craft improved, his muse became aloof during his three years at EMI, and so, in order to “be as poor and lost as other people my age–to have something true to write about,” Casey moved to Los Angeles. In the next five years he made two records–Vacations, and The Glass is Half–the first of which was placed on KCRW Los Angeles deejay Tricia Halloran’s top 10 records of 2005; the second having songs placed on ABC’s show Greek, and Lifetime’s Army Wives. He also cut his live-show teeth, playing some of LA’s great singer-songwriter venues, like the House of Blues and Hotel Cafe. In 2008, in order to finish his degree at Columbia University, Casey moved again, this time to New York, and after a school-induced music hiatus, he happened upon a show featuring Niall Connolly, the Irish-born figurehead of Brooklyn’s Big City Folk scene. Inspired by the literary and honest approach to songwriting of the scene’s players, he threw himself back into music and made his third record, It Shapes Me As It Goes, before playing shows in New England, the South, LA and Ireland. In 2012, Casey returned to Tennessee, where he lives with his wife in a small country house outside of Nashville. His most recent record, Lay You In The Loam (recorded on Catbeach Music, in Los Angeles) was released in the summer of 2013. 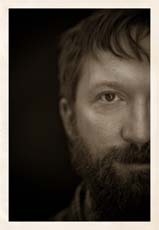 Casey, who owns more books than he does records, writes a literary lyric in the conversational, storytelling style–songs about optimistic pessimists, about the battles between the brain and the guts–and his deep singing voice is tumbled with gravel. It’s a unique and compelling combination, one which may, as KCRW’s Tricia Halloran put it, restore one’s “faith in the lost art of damn fine songwriting.” Casey is looking forward to being back in Ireland this spring, touring with Mick Flannery and a US tour is in the works for the near future. Niall Connolly has built a worldwide following as a singer-songwriter throughout frequent tours of Europe and the United States. His observations on life in his adopted home of New York City, as well as his descriptions of the faces and places encountered along the way, have cemented a leading reputation among his musical peers, and has led to his songs being covered by a wide array of artists.